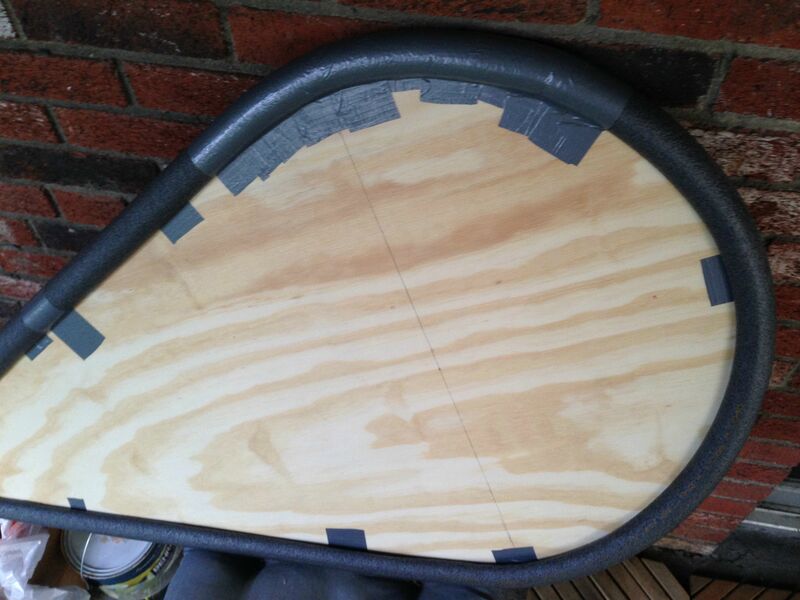 There may currently be three ongoing shield projects in my home, at the moment. This was not in any way intentional. But suddenly there are all these opportunities to get crafty. Captain Tripps is entirely at fault for being so dang inspirational! Check out his shield, entirely foam, and plastidip. It’s amazing. Now let’s check out what I’ve been up to. I was attempting to source all parts for this shield from one source. Pick your giant home goods supplier of choice. Other than the shield boss, of course. If you ask a home depot employee where the shield boss are they look at you funny. The big stores all carry a really thin pipe insulation. I am not impressed with it’s performance. The foam and duct tap approach could be totally scrapped. And replaced with a DAP and Camp Pad. 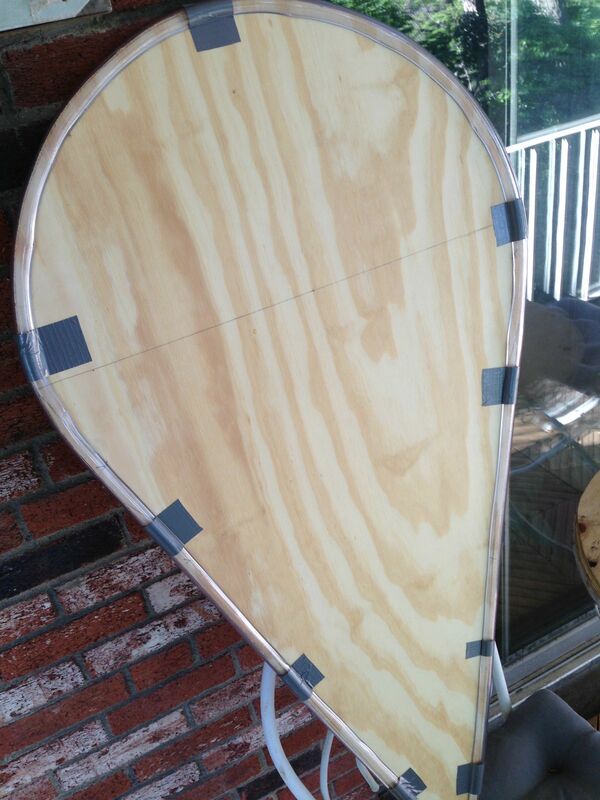 My kite shield and viking style shield have been functional for about a month. But they are not pretty. In fact they are bare bones at the moment. There are some physical characteristics that I wanted to play around with before committing them to a better looking finish. Originally they were supposed to be wood glue and cloth. This project really has changed since inspiration. There was a huge setback with the shield bosses. They were ordered, but due to a 3rd party mix up they were never sent. A full refund was given, and the seller won’t be using that ‘service’ any longer. Order from Dark Victory directly. Do not use third party resellers. Despite the boss fiasco they work well in combat. The handle had to be improvised as well. Fortunately I know a trick with trowels. You can purchase $3.00 trowels from Home Depot. Take off the metal bit, and use the plastic handle. They work great for a cheap and easy solution, but don’t look ‘authentic’. If that’s a problem for you, hold out for the boss. Once I get some good pics of the finished shields, a how too post with steps will be made. The rate I get to work on these things is not great. The whole process would take less time if I had a garage or basement. Of course if people are dying to know the steps to put these together, ask me on Google+… Maybe that will encourage my pace.